Enough sleep, that is. We spend about a third of our lives asleep. And while scientists think that sleep does something important — something vital for life- research has not yet identified specifically what that is. Nevertheless, we all know when we need to sleep — we can feel this need. We also know when sleep has done its work — we feel rested and that we have slept enough. Sleep is an active, highly organized sequence of events and physiological conditions made up of two separate and distinctly different states: ‘non-rapid eye movement sleep’ (NREM sleep) and ‘rapid eye movement sleep’ (REM sleep) or dreaming sleep. NREM is further divided into stages 1 – 4 based on the size and speed of the brain waves generated by the sleeper. The NREM and REM types of sleep are as different from one another as both are different from wakefulness. And while the precise function of REM sleep and dreaming is still not entirely clear, researchers have established a clear correlation between sleep-related illnesses and problems such as hypertension, stroke, congestive heart failure, depression and an overall decreased quality of life. A common precursor and symptom of stress-related illness is the disruption of the Sleep-Wake cycle. Psychological Stress caused by work pressures can lead to activation of the sympathetic nervous system and an increased state of arousal. As a result of this heightened arousal, there is inevitably a degree of sleep disruption and insomnia that can lead to a vicious cycle of chronic insomnia. Timely and adequate treatment of the stressors and the associated sleep disturbances is highly effective in preventing the slide into a chronic state of sleep disruption. A combined approach using medication and Cognitive Therapy is proven to reduce the rate of chronic suffering in patients with stress induced sleep disruption. About 30 to 40 percent of adults indicate some level of insomnia in any given year, and about 10 percent to 15 percent indicate that the insomnia is chronic and/or severe. The prevalence of insomnia increases with age and is more common in women. Intermittent periods of stress, which result in poor sleep, can generate two maladaptive behaviours, (1) a vicious cycle of trying harder to sleep and becoming tenser, expressed as “trying too hard to sleep,” and (2) bedroom and other sleep-related activities conditioning the patient to frustration and arousal. Chronic problems arise when bad sleep habits such as those naturally acquired during periods of stress occasionally are reinforced and, therefore, are prevented from extinction and become persistent. Thus, the insomnia continues for years after the stress has abated and is labelled persistent psycho-physiological insomnia. Good ‘sleep discipline’ can help all of us stave off such problems and help stop the pressures of our professional lives from affecting our bodies’ need for rest. 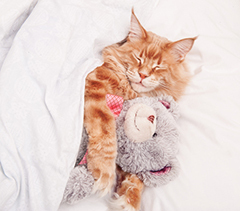 Here, then, are 10 simple tips to help you get a good night’s sleep. Try to go to bed and get up about the same time each night and morning. Make sure the time that you set for your bedtime is a time in which you are sleepy. Do not go to bed too soon or you may have trouble falling asleep or your sleep may be restless. Don’t nap. This can disrupt normal sleep cycles. Try skipping your nap and see if your regular sleep patterns improve. Make your bedroom a “quiet” room. Don’t watch TV in your bedroom. Use it for sleeping or quiet reading. Establish relaxing before-bed routines. Take a bath, have a glass of warm milk or do some light reading before bedtime. Develop relaxation techniques. Learn yoga, deep breathing, quiet meditation or listen to soft music while trying to fall asleep. Avoid troubling news right before bed. Violence in newspapers or on television may bother some people, making it difficult to fall asleep. Try reading a book (not an iPad!) instead. Turn off your phone and avoid checking emails just before bed. Avoid stimulants or things that contain caffeine (tea, coffee, cola etc.) for 6 hours before bedtime. Do not use alcohol or tobacco products close to bedtime. They may calm you at the time of use, but they can have disrupting effects on your sleep during the night. Exercise regularly. Regular activity helps the body and mind healthy, but be sure to avoid vigorous exercise right before bedtime. Dr Irshaad Ebrahim MBChB, MRCPsych is a Consultant Neuropsychiatrist and Medical Director of the London Sleep Centre. He was the first NHS-appointed Consultant Neuropsychiatrist in Sleep Disorders in the UK. A member of The British Sleep Society, The British Neuropsychiatry Association, the Royal College of Psychiatrists and the Royal Society of Medicine section on Sleep Medicine, he is actively involved clinical research for new treatments for insomnia, depression and anxiety disorders.